I am not an expert at all in this platform. However, I have learned a few things that I would like to go over with you today! Video SEO is something that all websites should be taking advantage of. Having your videos on YouTube and then embedding them on your site is simply not good enough anymore. If you are putting in time and money into interesting videos that are edited nicely (not mine as I still need to buy Adobe Premiere Pro lol) with software then you deserve the full credit! Today I would like to show TM Blast’s own Wistia account and some areas that I would like to explain. This platform is something that I am getting a lot of my clients into but the platform can be confusing. Luckily I have failed enough times on my own site to actually believe I have some knowledge on what you should do. 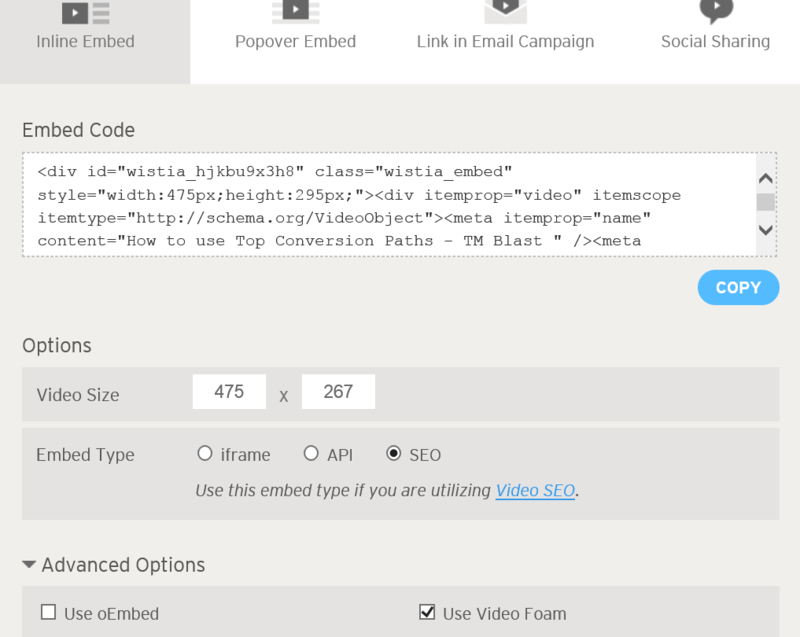 Here are some of my video SEO skills I have learned using Wistia. This is the main dashboard. This allows you to upload new videos, see your existing projects, see your views, and more. Now I am in the area where I can start to customize the entire video. I can change color of the video, the video still, the social icons, if I wanted the video to be in CC, and much more. Again, I can’t code so having this as a WYSIWYG (What You See Is What You Get) works fine for this guy! Please note that I have the specific page set to my own site and I also have the embed button go back to that page. This is important so don’t forget! So the next thing everyone needs to do is create a video sitemap. 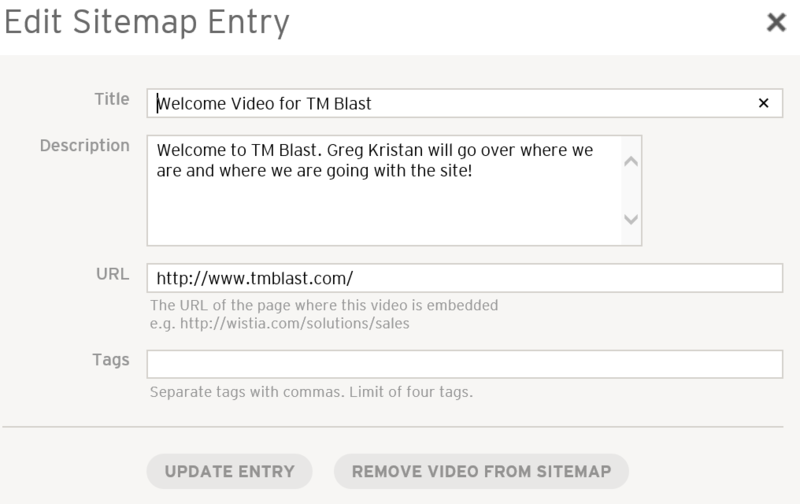 Uploading and customizing the video is great, but you MUST create a video sitemap. You need to click on Account –> Video SEO and then you will be brought to a page that will give you a line of code where you need to upload this to the robots.txt file of your site. This is where I put the code on my site. Once it was there and verified (I clicked on Wistia to verify it) I am ready to rock! Right, so now we have the video sitemap created. It will look like this moving forward when you click on the video sitemap. Notice how you can see the title and the description of the video. This is exactly what the search engine bots see when they come to my site. This will play a bigger factor for future videos that are actually specific to real keyword searches. I am incredibly excited to show what real numbers look like in two to three months from now. I have so many ideas and I am so excited to get them shot and edited! So now you have your video up on your site. 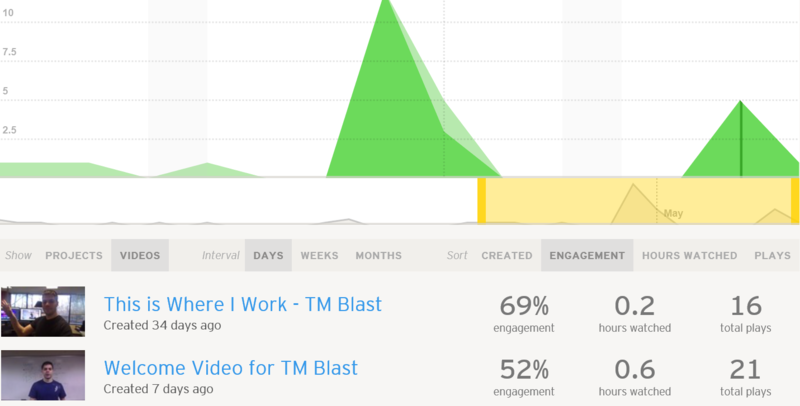 Wistia now allows you to check out the stats for any video in real time. This is similar to YouTube where I can see where my audience drops and the number of clicks the video got. I still think YouTube analytics had more information, but this is still pretty good. Here is a snapshot of my own analytics. Not the best numbers, but that is alright! One final area is that you can create a title tag and a description of the video. This is the same thing that you would normally do for SEO. The difference from this and YouTube is that this time search engine spiders will be able to read this and rank the video for my site. When Should I post my Videos to YouTube? This is a question that I wish I could of explained better to some clients. This was a learning pain that I had to deal with but I want to explain it. Your videos on YouTube and your site should be different. 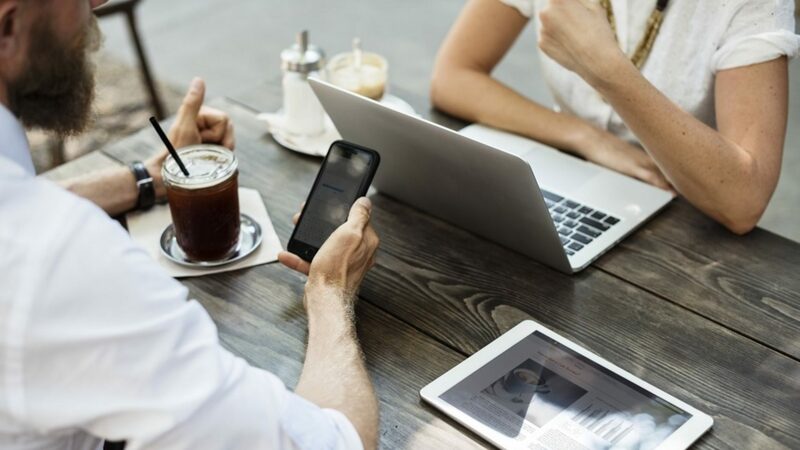 You are serving two different audiences on both platforms. The YouTube videos should probably be more geared toward quick education or something fun without a real call to action. The videos on your site really should be of high quality that offers a lot of information to your users. With YouTube if your video starts to get boring the user has too many options to click on other videos. I would always suggest having different lengths for similar videos that go on your site and on YouTube. Basically have a tease or a preview video on YouTube that generates the interest and bring them to your site. Now the majority of the users will not come from YouTube to your site, but the ones that do to watch the full video will already be more qualified then the casual browser on YouTube. However, with Wistia you are able to optimize your best videos for Google and Bing search so you are already receiving traffic. Use YouTube just as an extra source, not the main source. Finally, if you need to have that same video on your site and also YouTube I suggest you wait until the page is cached by Google and Bing. 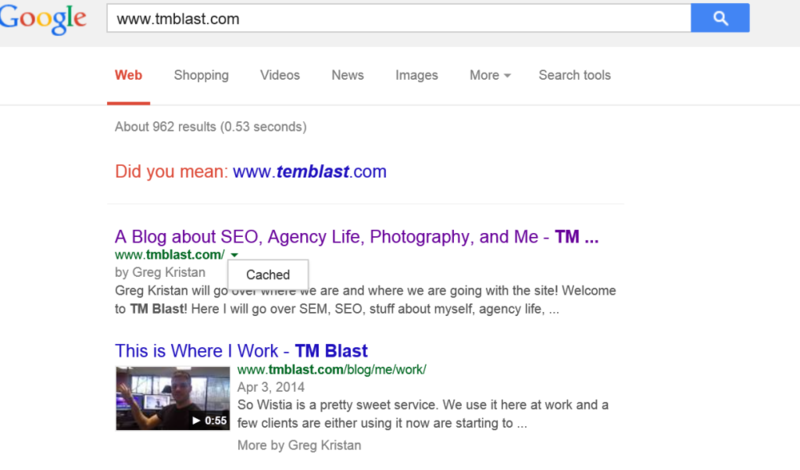 I would use both Google and Bing Webmaster Tools and fetch the page you want to be indexed. Wait for the search engine spiders to bring back the results and then wait a few days. Put the URL into your favorite browser and click on cached to see when the last time your page was cached by the search engine spiders. Once the page has been cached by the search engine spiders then you can put the video somewhere else. Here are some pictures of how to do this. I put this into Google and Bing (my URL) and then clicked on the green URL arrow to see cached. Then I clicked on cached to see when the last time this page was crawled. Most likely Google will always crawl your site faster than Bing. For this example, I am just going to show Google. 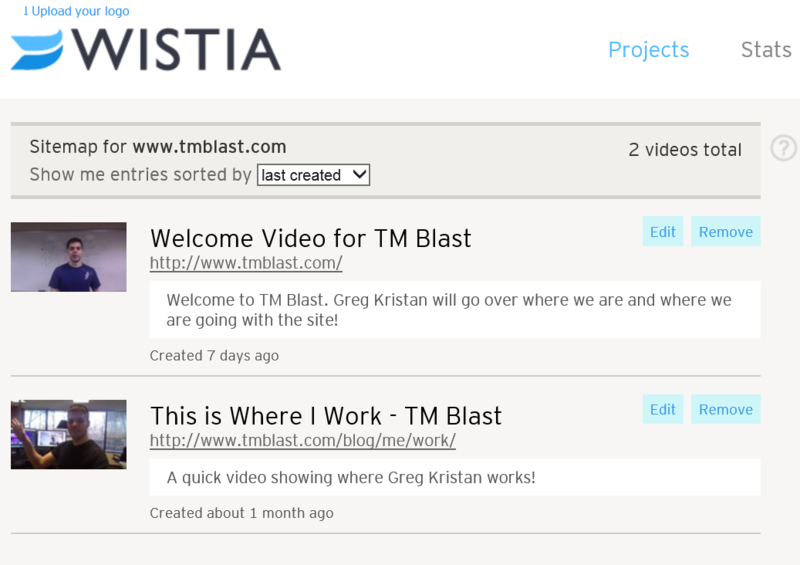 All in all Wistia is a great service. They even allow a free trial of three videos to put up on your site! This is exactly what I did and I will become a paying customer just because this service is amazing and aligns exactly with my vision for this site and my job.